Disney’s Animal Kingdom park at Walt Disney World opened over 16 years ago, back in 1998, making fans eager for changes to the animal-themed theme park. Last year, Disney officially announced that a new land was heading to Animal Kingdom, one that would be inspired by the fictional (and stunning) Pandora seen in James Cameron’s Avatar, which had many referring to the addition as Avatar Land. We do not know many details about the Avatar attractions that are on the way, but Bob Iger opened up a bit and provided some new details. See what he had to say after the break! The vessels that guests will ride upon will essentially be the banshees themselves, with bodies that move to mimic a breathing beast. The flying sequences will be brought to life through large video screens — similar to “Soarin’” — with vehicles moving with the 3D action inside a massive theater. This Avatar Land has the potential to dramatically change Disney’s Animal Kingdom. One of the biggest shifts will be that the park’s hours will be extended so visitors can experience the new area of the park at night, when the gorgeous colors seen in the film will take hold throughout the themed land. It is a significant change to the park, which will have guests lining up to explore it. If the Imagineers can capture some of the magic they extended to Cars Land in Disney California Adventure, we will be in for a treat. 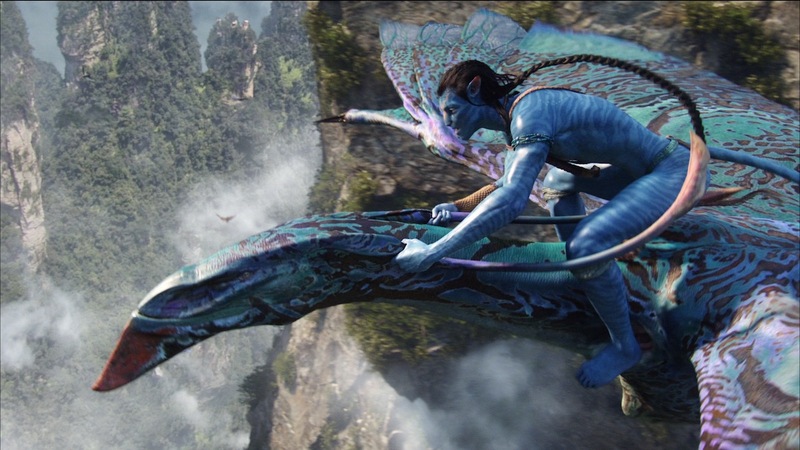 The Avatar-themed land is slated to open at Disney’s Animal Kingdom in 2016. Stay tuned for many more details as they are released.